Social network marketing is a way for businesses to interact with their target markets over the internet via various social media platforms such as Facebook, Pinterest, Twitter, and Instagram (to name just a few). How is Social Network Marketing Used? What Are the Most Popular Social Media Platforms? That doesn't mean that your small business should start trying to use some of them to promote your products and/or services. Even if your business had the money to hire a marketing firm or develop an in-house social media team to do that, it wouldn't be a good idea because different customer segments frequent different social media. Just as with any other type of marketing, small businesses need to focus their social network marketing efforts and their dollars on reaching their potential customers. There's no point to spending time and money on promoting your business on a social network that your customers don't use. See How to Create a Social Media Marketing Plan. Cost - compared to other forms of marketing social media is very inexpensive. It is free to create accounts on all of the above platforms and free to make postings to followers, who will hopefully share the message with other members of the social media community and spread the word. There are also various paid advertising options to reach larger audiences within the social media community. Facebook offers comprehensive options for ad targeting, for example, such as the ability to target members that reside within a specific geographic radius. Engaging the audience - social networks allow the business to engage the target audience and develop interactive relationships with customers. Time - The main problem with social network marketing from a business perspective is that it can be incredibly time-consuming. Social media marketing campaigns are not one-shot affairs; they need to be nurtured over time. While big businesses such as Dell, Microsoft, and HP have been using this type of marketing effectively, they have the kinds of marketing budgets that allow them to assign x number of staff to conduct and manage social media marketing campaigns, resources that a lot of small businesses don't have. Direct advertising on social media doesn't work - Businesses using social networks want to sell their products or services of course. But as blatant advertising on social media would, in most cases, alienate their intended audience or even get them kicked out of the particular social community they're trying to infiltrate, businesses need to use more subtle forms of promotion on social media. To use social network marketing effectively, businesses have to be perceived as members of the social media community, willing to interact with other members. Risks - Given the community nature of social media, businesses must be aware of the risks. A negative posting by a customer, ex-employee, or competitor (whether true or false) can seriously damage the reputation of a business. If a hacker manages to take control of a social network account the results can be catastrophic. Even a harmless posting can turn into a public relations disaster. For example, in 2012 McDonalds tried to engage with the social media community by posting a tweet under the hashtag "#McDStories" - customers responded by posting horror stories such as finding fingernails in burgers or being hospitalized for food poisoning after eating at McDonald's. Still, social network marketing is a type of marketing that many small businesses could benefit from if only to find out more about what their customers are thinking - and saying - about their brand and their products. 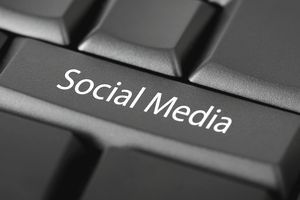 Examples: The main goals of social network marketing are to build a business's customer base and to develop and manage a company's reputation. How Does Multilevel Marketing Work & Why Is It So Appealing?